Mr. Holden was born in Idaho Falls, Idaho in 1975. As son of a Master Sergeant in the U.S. Army, Mr. Holden grew up in a number of places, including Germany, North Carolina, Alabama and Texas. Following a two-year stay in the Czech Republic after high school, Mr. Holden completed his undergraduate studies in Linguistics at Brigham Young University in 2000. After graduation, Mr. Holden spent four years as a systems engineer at Electronic Data Systems Corporation. 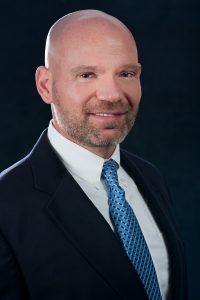 Mr. Holden received his Juris Doctorate from Gonzaga University in 2007 and later received his Master of Laws in federal taxation from the University of Washington.